This is a limited edition lamp as only 250 were produced. 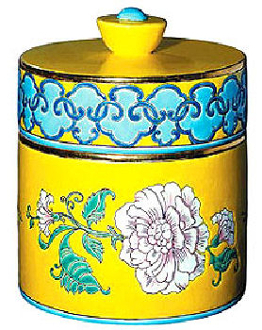 Decorated by hand in French cloisonne enamel this very large lamp was made for Lampe Berger by the Faiencerie de Longwy and designed by Regis Dho. Diameter is 7.25"